Trampolines are a favorite past-time for adults and children alike on any continent and trampolining has even been part of the Olympic Games since 2000! However, the traditional model can be a very dangerous backyard item. The standard metal coil springs and exposed frame are within inches of the jumping area and can cause pinching and other injuries, and without a net enclosure surrounding the trampoline, users can easily bounce themselves off and fall to the ground. Springfree Trampoline, featuring the tgoma game system, has created the world’s first smart trampoline, a design dedicated to your child’s health and safety. Dr. Keith Alexander redesigned the traditional trampoline from the ground up to create a safer and more enjoyable trampoline for the whole family. His research proved that in the US alone over 100,000 children a year were sustaining injuries from playing on traditional horizontal spring-based trampolines. As an inventor, he knew he could design something far superior and infinitely safer for children all around the world. The Springfree design utilizes flexible composite rods instead of traditional metal springs. Both the rods and the metal frame are positioned below the jumping mat so that coming in contact with either injury zone is eliminated thereby significantly reducing the possibility of injury. It also features an incredibly shock absorbent SoftEdge mat and, with the addition of the FlexiNet, provides a full 360-degree safe jumping area. It is important to find the right trampoline with enclosure model, and so be sure to do your research! The FlexiNet enclosure features flexible composite rods that bend and absorb the jumper’s energy to aid in fall prevention, as opposed to traditional models that feature rigid steel poles that offer an additional impact zone and the risk of further injury. According to the American Academy of Orthopaedic Surgeons, over half of trampoline accidents occur on the mat, and thanks to this design revolution, these statistics are being curbed. Springfree has also recently partnered with tgoma, a game system that provides a unique outdoor digital game experience which helps to get kids outside and away from sedentary play indoors. Providing the world with the first smart trampoline on the market, tgoma offers games that are fun and effective physical workouts for children and adults, that also incorporate learning and healthy competition. However, the tgoma system is not just about playing games. Its rich platform allows you to track your activity, set goals, participate in events, and compare your high scores with other jumpers all over the world. The best trampoline companies are backed by industry awards, which is why Springfree Trampoline, featuring the tgoma game system, won a 2016 Digital Design award at the Australian Good Design Awards. The fact that they also do not outsource any of the stages of their construction and only use components that have been rigorously tested on-site has also won them US and Global quality and design awards. 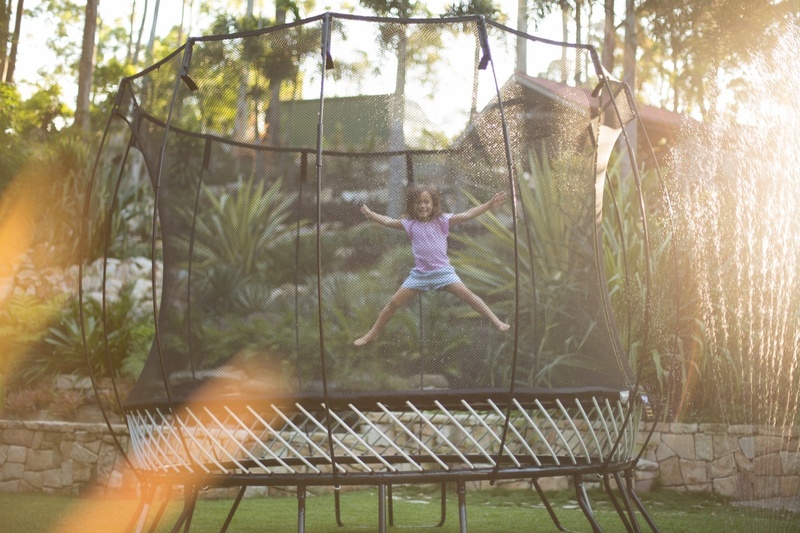 Providing a safe jumping experience while leveraging technology to transform “screen time” from an isolated, sedentary activity to an active, engaging experience for the entire family, this smart trampoline offers an exciting new option for American families.